Tweaking a dust collection system takes patience and small improvements can add up to big advances over time. The following products, from a wide variety of suppliers, all have one thing in common: they are designed to make your system more efficient. That can take the form of saving time or catching smaller particles or even just simplifying maintenance. For example, one of the simplest but smartest ideas from Air Handling Systems is an access door that can be installed on almost any diameter metal pipe. These oblong little doors have a couple of bolts that draw them tight and a gasket that seals them to the pipe. 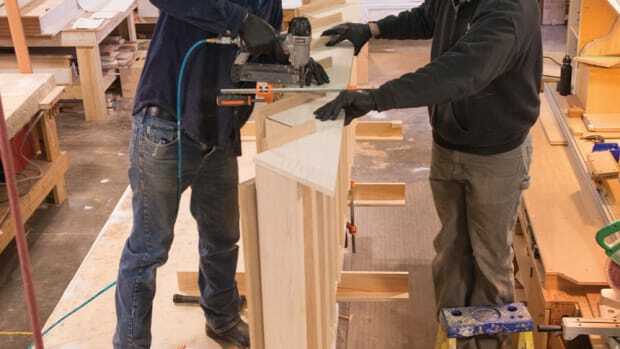 It just takes a few seconds to release the hand-tightened plastic nuts and a woodworker can then easily access the ductwork and clear out obstacles, run wires, even clean out a slow spot where dust tends to accumulate. To install one, just stick the supplied pattern to your ductwork, cut out around the pattern and insert the door. Air Handling offers doors for ductwork ranging from 4” diameter to 46” and prices run from about $30 to just over $100. Oneida offers a similar product called a hinged cleanout. 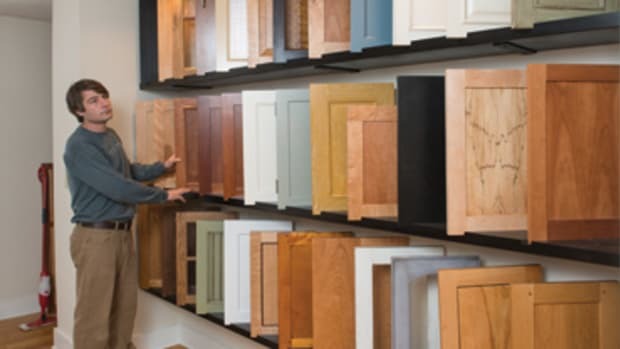 It’s a little more expensive, but the door is not bolted shut: it simply hinges, which makes for even quicker maintenance, and it’s available for duct diameters from 6” to 16”. One of the handiest elements of any dust-collection system just has to be a downdraft table. 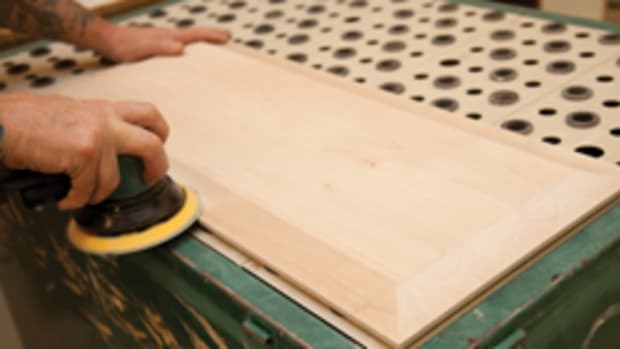 Even a small unit designed for sanding parts can remove a lot of fine dust from the air. Downdraft tables or benches that are integrated into the system can come in all shapes and sizes. Many are customizable, such as ProVent’s industrial grade STYB table that is available in 3- to 10-foot widths (one of the most popular sizes is 30” wide by 24” deep) and these tables can be ordered with or without sides. The key to their efficiency is a fiberglass corrosion-proof grating up top that is married to a tapered bottom. The table frames are heavy-duty sheet steel. 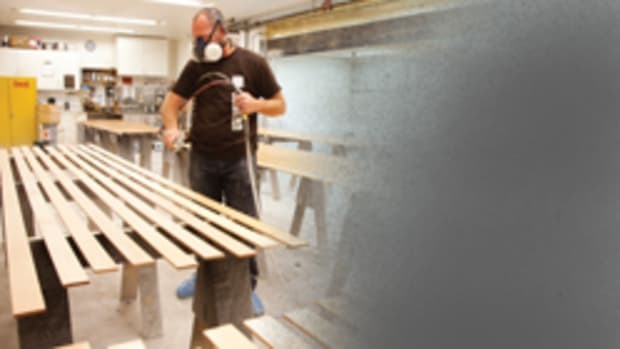 For dust collectors with 4” connections, Rockler offers a simple, but very effective, quick-release connection called the DustRight that allows a woodworker to switch a hose from one machine to another, or perhaps to a flexible hose for bench cleanup, and do so in seconds. The ports feature a flexible rubber boot on one side that guarantees a tight connection and also allows for slight variations in the size of the tool’s dust port. The kit’s retail price is $22 (plus shipping) and it includes two 4’’ ports with metal hose clamps and a handle. This is ideal for stations such as lathes, where large particles need to be cleaned up between sessions. Another must-have element that a lot of system designers ignore is a silencer. This is just a short muffler that can be spliced into the ductwork on the outfeed side of a system and it dramatically drops the decibel level by reducing air-movement noise levels inside the work area or even outside the building. Air Handling System’s version is constructed of three layers — 22-gauge expanded metal that is wrapped in a sound-absorbing melamine foam that, in turn, is placed within a layer of 22-gauge galvanized steel spiral pipe. For stand-alone machines that are connected to their own small dust collectors (miter saws, drum sanders, etc. ), the i-Socket 110-bolt tool and vacuum switch from DGC Products is a nice addition. Available for about $35, this handy little device turns on the dust collector when the tool is activated. It even lets the collector run an extra few seconds after the saw or sander stops to make sure there are no clogs in the inlet pipe. 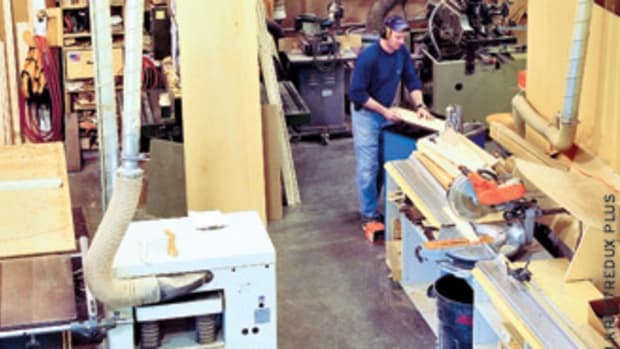 In the same vein, the Long Ranger remote control (in 110- or 220 volt versions) from PSI Woodworking Products lets the woodworker turn on or shut down a collector from up to 50 feet away, saving a lot of steps — and time — during the workday. Line of sight is not a requirement and these units sell for about $75 and $85, depending on voltage. If you’re running table-mounted routers, Eagle America has a great little gizmo for dust collection beneath the worktop. Their Downdraft Box attaches to the underside of the table and encases the entire router, pretty much eliminating stray dust. It measures 13” by 10” and is 14” tall, so it will work with most portable routers and even router lift systems. There’s a large door that allows the woodworker to make all the necessary setting adjustments and a 4” dust port on the bottom. It sells for about $80. 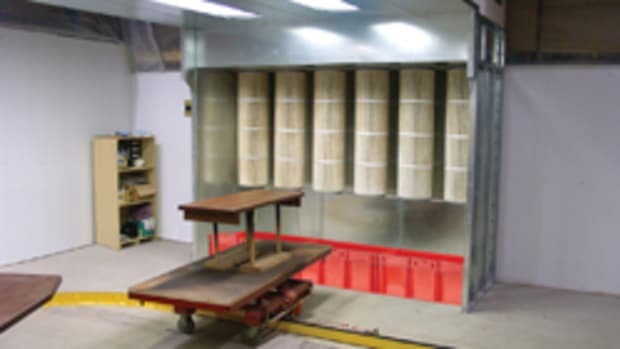 While central dust collection systems can do a remarkable job, they often fall short at the very beginning of the process — on the workbench. Most experts will agree that if you can see the dust, your body can handle and evacuate it. But if it’s too small to see, then it can harm your pulmonary system (and lodge in the lungs). Particles below 1 micron tend to be more difficult for our system to eliminate. With that in mind, Shop Fox offers a very inexpensive fine-air filter (model W1746, $125 or less on Amazon) designed specifically to be run at individual workstations. It’s small (the filter is only 13-1/4” x 14-1/4”), but it handles particles down to 0.3 microns. It’s quiet (42 dB) and has three speeds and an automatic shutoff with a timer, so it’s only running when the workstation is occupied. 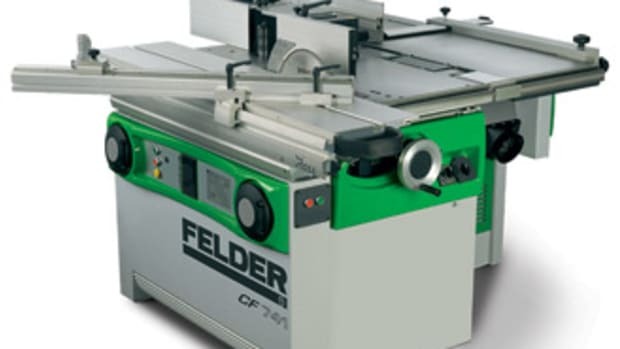 For woodshops that do a lot of cabinet or flooring installations, a company called Shave Away Europe has created a line of inexpensive attachments for angle grinders and circular saws that are somewhat in the tradition of the phenomenal dust-collection devices on Festool equipment. 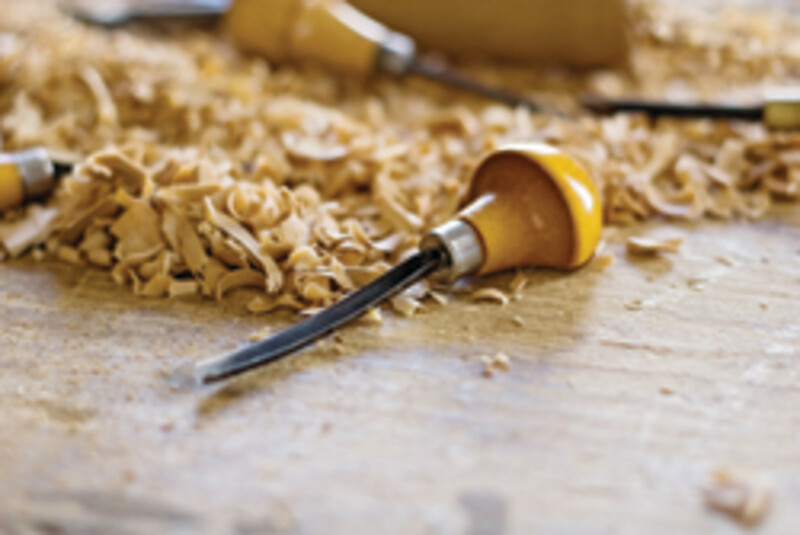 These aftermarket additions connect to the tools in about a minute and they can collect more than 90 percent of the dust right at the source. If the extractor attached to your thickness planer or jointer is jamming up with large particles, a new rotary airlock could be the answer. 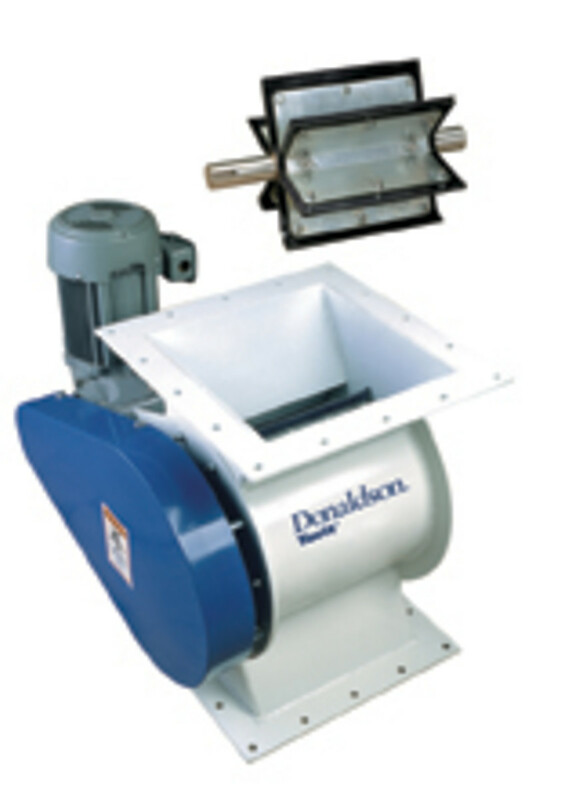 Donaldson offers the Torit FT Rotary Valve that has a flexible tip on each vane. It was designed to handle stringy or fibrous products that jam other types of airlock. The company offers adapters for existing flanges to make it easy to retrofit to a dust filter or cyclone. Collecting particles at the source is obviously the way to go and Grizzly has a really useful dust collection accessory that makes it a lot easier to build your own light-duty downdraft tables or sanding stations. The kit (model T10699) includes four downdraft panels, each measuring 6’-3/4” x 16-1/2”. 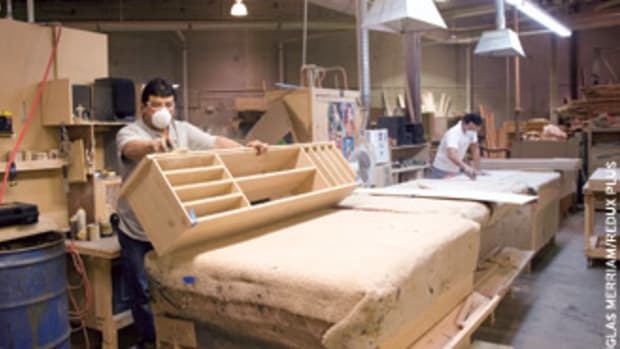 The customer needs to build a box and add a dust port, which connects to a dust collector or shop vacuum. 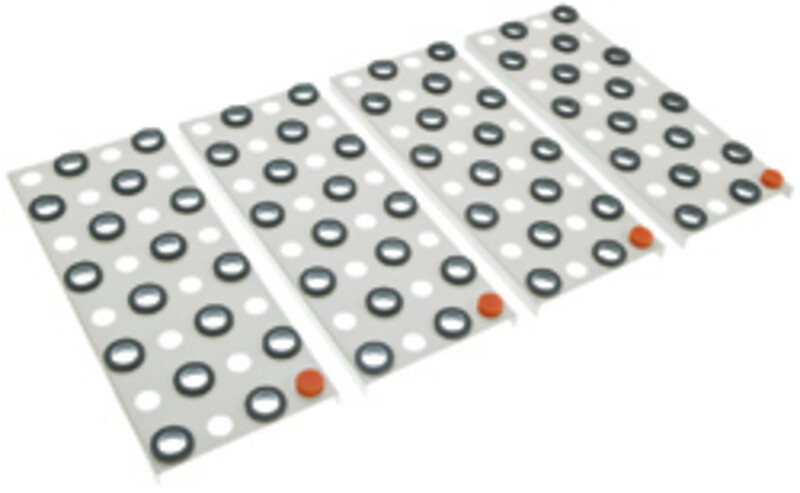 Multiple kits can be combined to build a larger table. 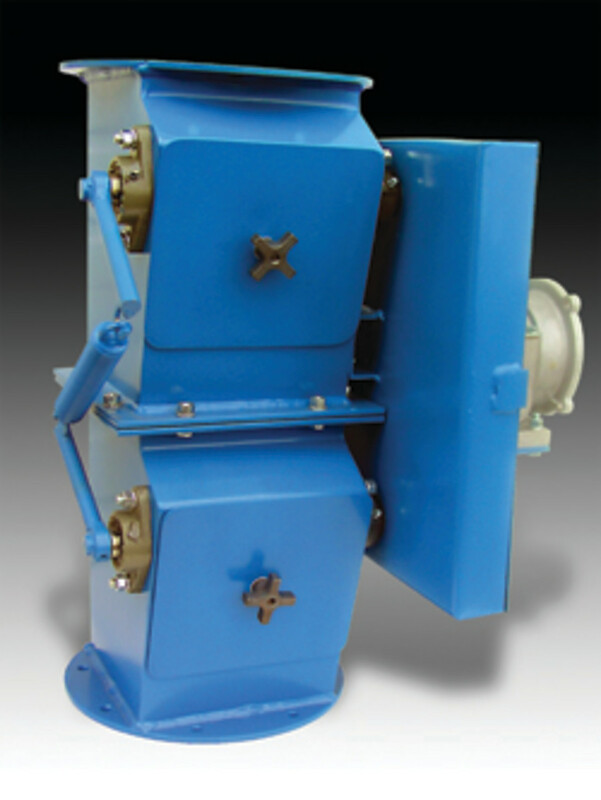 For larger collection systems, Aerodyne in Chagrin Falls, Ohio, manufactures the GatorGate double-dump valve, which separates fine dust particles from chips in a two-stage process. The GatorGate uses tandem gates to maintain proper pressure above and below the valve and it has a reinforced closure mechanism to prevent air seepage. This double flap valve can be configured to operate using air or electricity and requires little maintenance. It’s available in 8”, 10” and 12” sizes. Many of the products mentioned here are just small improvements in themselves. But when several of them are added together, a lackadaisical dust-control system can quickly become a fit, efficient and welcome partner in the fight to protect employees, finishes and the environment.